Consider this, across the globe online shopping has grown exponentially during the past decade and the trend is expected to continue. In the U.S. alone, ecommerce sales grew from $72 billion in 2002 to over $256 billion in 2011! 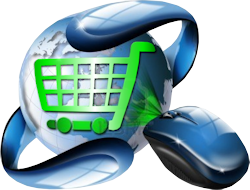 The number of online shoppers in the U.S is expected to exceed 175 Million by 2016 and it’s projected they will spend $327 billion! Do you need an ecommerce site? If you have a product to sell you do! However, not all ecommerce websites are alike and not all website designers can develop a fully compliant ecommerce website. Benefits of an ecommerce site. √ The cost-of-sale is lower online. √ Low cost way to extend the reach of marketing activities. √ An ecommerce store never closes. √ Builds lasting customer relationships. √ Provides customers with a no-pressure shopping experience. √ Less expensive to update and maintain marketing campaigns. √ Gain new customers through search engine visibility. √ Ability to sell and advertise products 24 hours, 7 days. What to look for in an ecommerce website. √ Ease of navigation. √ Site design compliments products. √ Showcases for the most popular products. √ Easy one page checkout. √ Promotes related products. √ Effective, accurate, product photos. √ Site-wide product search function. √ Site design will promote existing brand. √ Ability to securely accept credit cards online. √ Complete security,secure socket layers, daily scans. 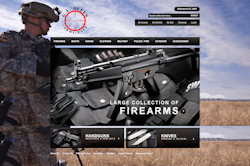 Why choose Daytona Designs for an ecommerce website. Ease of use - Online customers will not place orders on websites that are difficult to understand or navigate. When we design your website we will take the time to layout a navigation structure that follows a logical order that is easy to understand. We make sure all your products are easy to find. Asthetics - Many people are wary of online scams and they will hesitate to enter credit card information in a website that doesn't look professional. We design credibility into each site. We will provide you with a unique, professional design that will reflect your business in the best possible way. Your website will be tasteful laid out so you can be assured it will generate extra revenue for your business. Security - Many ecommerce developers don't focus enough attention on site security. At Daytona Designs we take security very seriously because a hacked website can ruin your online reputation so it's essential to have the appropriate security measures in place. We use the latest technology to secure each ecommerce site we build. Your site will have the following security modules installed: IP Trap, Security Pro, Anti Scripting Software, and .hatccess Protector. In addition, we will password protect the admin section and scan your site daily for malware and viruses. PCI Compliance - In order for you to accept credit cards online your website MUST be PCI compliant! PCI compliance ensures that your customers sensitive data, such as credit card information, is completely secure. We guarantee all Daytona Designs ecommerce sites are PCI compliant before you accept the first online order. Search Engine Optimization - No matter how beautifully laid out your site is it's useless if it can't be found in search engine queries! We will do keyword research to find the best possible words or phrases that potential customers are most likely to use. Again, many website developers fail to properly optimize your site or they charge you an additional fee. We provide it free! As is the case with all our websites we will design your site using responsive web design technology so you won't miss out on orders from people using iPads, tablets or cellphones! If you're in the market for a secure, professionally designed ecommerce website that will be an asset to your business we invite you to give us a chance to earn your business!